Skyhawk Flying Club | The Freedom to Soar! 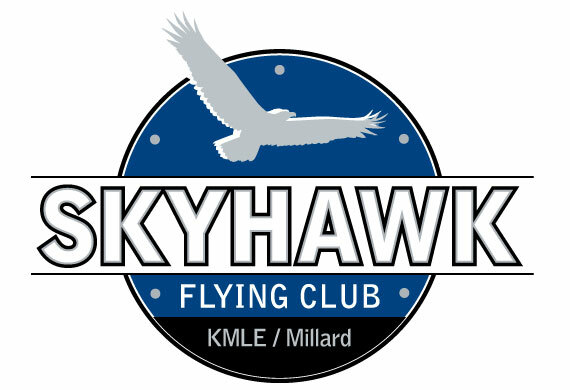 The Skyhawk Flying Club is an ownership-based flying club. We have tenure as an organization and a solid safety record after over 45 years of flying. We have three aircraft to meet the needs of most any general aviation enthusiast from primary training to advanced IFR. is a basic trainer with all the advantages and time-honored features of the Cessna 172. It has a Garmin GNS-430w and a Garmin G5, capable of flying precision GPS approaches with WAAS guidance. It received new paint in 2004 and new interior in 2018. Complex platform ideal for advanced training, cross-country flight. This Piper Arrow-III has retractable landing gear, extended range tanks. The aircraft is also equipped with dual glide-slope and a Garmin GNS-430w, capable of flying precision GPS approaches with WAAS guidance. N122TW is a 1975 Bonanza V35B with seating for five this will be an ideal plane for long cross-country flights or anywhere you want to get fast! Equipped with Garmin 530 with WAAS, King KLN-90 GPS, and a total 1165 Useful Load. Beautiful Paint Scheme and new leather interior. Founded in 1971, the Skyhawk Flying Club is a well-established, not-for-profit organization with three aircraft to meet a variety of flying missions. Our goal is to provide our members with the ability to fly in an economical fashion. See our rates under "Aircraft", and I think you will see we offer a very attractive option for flying. We are based out of the Omaha/Millard Municipal Airport (KMLE) in Omaha, Nebraska. Our Mission is to provide our members a cost-effective way to fly and distribute the cost of aircraft ownership. We take pride in our club and our aircraft. We work hard to provide well maintained aircraft at a reasonable price. We find club membership to be significantly less expensive than other options in the local area. We invite you to contact us if you're looking for alternatives to aircraft rental or direct ownership. The Skyhawk Flying Club is an ownership-based flying club. Each member owns an equal share of all aircraft. Members enjoy all the benefits of aircraft ownership, while distributing the maintenance and operating costs among a larger group. Fractional Ownership Memberships are available and subject to Board approval. If a member does not fly at least one hour in any given month, a dry minimum equal to a charge for 1-hour in the least expensive airplane is applied. This is to encourage members to fly and stay proficient. Our goal is to provide our members with the ability to fly in an economical fashion.